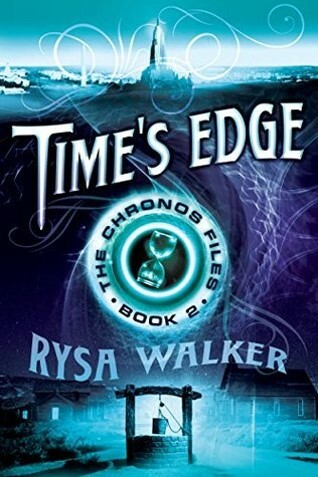 With the second installment in The Chronos Files Rysa Walker's series is suddenly vying for a spot at the top of my "favorite time travel series ever" list. In Time's Edge Kate continues to race through time collecting the keys from stranded Chronos members. One wrong move and the Cyrists will know exactly what she's up to. This second in the series really ramps up the intensity, and I had a hard time ripping myself away from it. The time travel shenanigans in this book are fabulous. Rysa Walker exploits time travel to its full potential. The morality of letting bad things happen is fully explored, and some serious mistakes have to be undone. I also really enjoy how rooted in American history The Chronos Files are. I'm so excited for book three! Abby lives in Brighton, a seemingly perfect utopia where everyone works together for the greater good. On her eighteenth birthday, Abby, like all residents, meets with her 38-year-old self who has traveled back in time to give her younger selves some advice. Abby leaves her meeting disappointed with how her life will turn out. She then meets a boy who also claims to have met her future self, but his version of the future is very different. Which future self should Abby trust? Glitch started out very promising. Brenda Pandos's dystopian setting is creepy and interesting, and I especially loved the Date of Death devices. However, once Abby left for the wilderness, my interest really plummeted. It's no secret that I have a hard time with wasteland wanderings. This book is a "died in the wilderness" I'm afraid. Review copy from NetGalley. Zoe, Tali, Luce, and Joy went their separate ways after their last summer at Camp Okahatchee. Two years later, Joy organizes a reunion night that transports them back to their final year at camp and gives them a chance to rekindle their friendships and get to know themselves a little better. 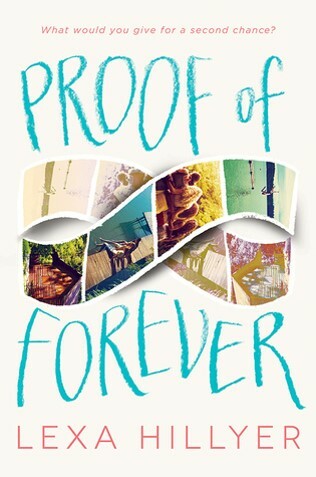 I love the concept behind Proof of Forever. The main characters needed each other, and I was glad to see them get the chance to be close friends again. I felt nervous most of the book, however, because I didn't see how their week in the past could possibly end well. And, I'll admit, they were a little casual in their sexual relations for my taste. That said, I think Lexa Hillyer did a great job. 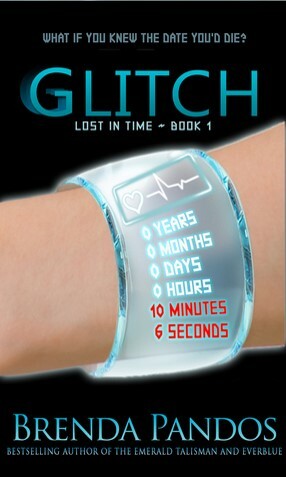 It takes a deft hand to pull off time travel and a deft hand she has. Copy from BEA. Bridger's father is dead, yet he manages to make contact with his son during one of his time travel training missions. His message to Bridger: Save Alora. Bridger has no idea who Alora is, but if it's important enough for his father to practically return from the grave to deliver the message, saving her must be worth risking everything. He leaves the academy and illegally shifts to 2013 when Alora lived. The Edge of Forever is part time travel novel, part contemporary thriller, and part futuristic dystopia. The combination of genres works pretty well, and I liked the dual narrative and southern setting. Melissa E. Hurst's debut novel does suffer a bit from pacing issues. It starts with a bang and has a heart-stopping conclusion but lags a bit in the middle. 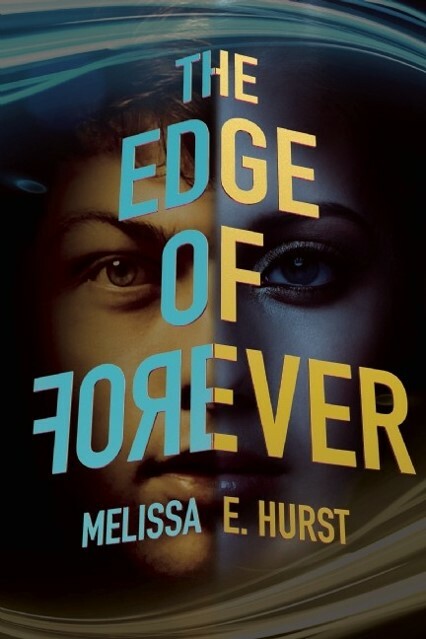 The Edge of Forever is out June 2nd, 2015. Review copy from Edelweiss. With Sapphire Blue, I'm cheating a bit so that I can stick with the blue-cover theme. (The first in the series, Ruby Red, has a bright red cover.) Gwyneth Shepard comes from a family of time travelers, and at sixteen she discovers that she has inherited the time travel gene. Gwyneth is suddenly catapulted into a strange world of secrets and mysteries with rogue time travelers, chronographs, creepy counts, and hijackers. Plus Gwyneth is traveling back to the London of the past, and there are fabulous outfits, a dashing and pompous fellow time-traveler, and ghosts. Gwyneth is a really intriguing character, Gideon has potential, and the mystery of the circle closing had me hooked. 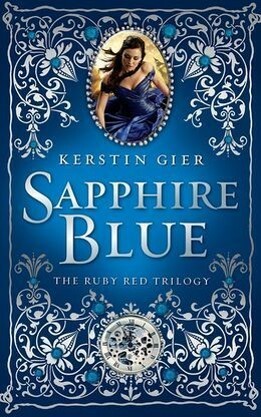 Kerstin Gier's Ruby Red Trilogy is great time-traveling fun. Time's Edge, Glitch, The Edge of Forever, and Sapphire Blue reviewed by JoLee. The Proof of Forever reviewed by Paige.